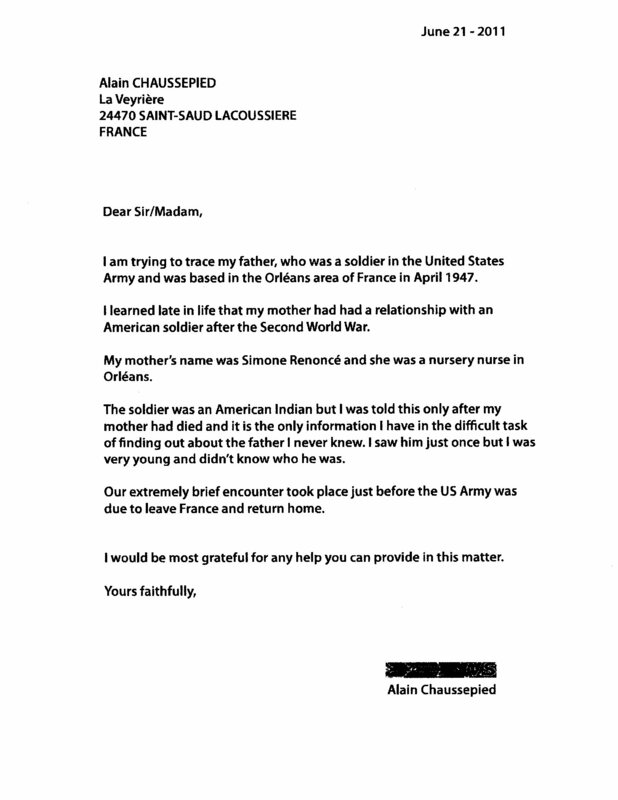 Alain Chaussepied is looking for his father. Please read this letter! If you can help him find his father, his father was a Native American soldier. That would be wonderful! Please click the letter to make it bigger.